The tort of defamation – also commonly referred to as defamation of character – is an overarching legal term defined as the act or making, publishing, or communicating a false statement to a third-party, resulting in damage to another party’s reputation. In Common Law jurisdictions – U.S., C.A., U.K. – defamation of character is classified as a civil wrong, and may be broken down into two specific types. Libel: the written or published communication of a false statement to a third-party, damaging another’s reputation. Slander: the spoken communication of a false statement to a third-party, damaging another’s reputation. The general public often confuses the two concepts of libel and slander, usually opting for the term “slander” as an all-encompassing term for defamation. It’s important to understand the differences between the two, as most states have differing statutes of limitations for bringing a libel and slander claim – oftentimes, slander actions must be brought much sooner than a libel claim. Look to the form in which the defamation was conveyed, and then start from there. Note – If you want to read up further on commercial/business disparagement, check out our detailed blog post titled, “What is Business/Commercial Disparagement.” In our blog post, we address the policy behind such laws, the elements of business/commercial disparagement, food disparagement laws, common defenses to a disparagement claim, and how to hold defaming and disparaging parties liable. Now, on to Texas defamation law and its definition of defamation. First, Texas defines libel as “defamation expressed in written or other graphic form that tends to blacken the memory of the dead or that tends to injure a living person’s reputation and thereby expose the person to public hatred, contempt or ridicule, or financial injury, or to impeach a person’s honesty, integrity, virtue, or reputation or to publish the natural defects of anyone and thereby expose the person to public hatred, ridicule, or financial injury.” Tex. Civ. Prac. & Rem. Code § 73.001. More specifically, in order to succeed in a defamation claim in Texas, plaintiffs must prove the following three (3) elements. The defendant acted with either actual malice – if the plaintiff was a public official or public figure – or negligence – if the plaintiff was a private figure – regarding the truth of the statement. WFAA-TV, Inc. v. McLemore, 978 S.W.2d 568, 571 (Tex. 1998). 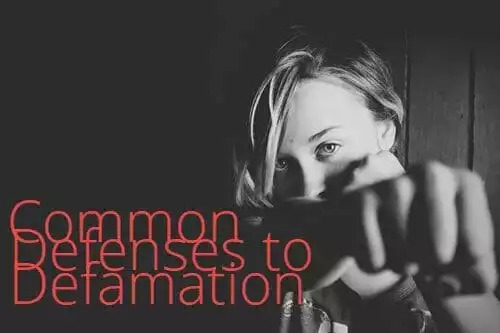 Let’s take a look at five (5) examples of defamation in Texas, and whether or not the conduct by the defendant(s) rose to the level of defamation or not. Physical descriptions: A physical description of an individual based on one’s own impression was not considered defamatory. Describing a person as pudgy and balding, with a face resembling an egg was not considered defamatory in Texas. Raymer v. Doubleday & Co., 615 F.2d 241, 243 (5th Cir. Tex. 1980). Humorous & intentionally false advertisements: Humorous and intentionally false advertisements do not amount to defamation in Texas because no one would understand the postings to be true. Gumpert v. ABF Freight Sys., 293 S.W.3d 256, 267 (Tex. App. Dallas 2009). Political campaign: A political campaign website accusing a political candidate of ripping off, abusing the office, and receiving payments from a CEO were not deemed defamatory because an ordinary person would perceive the statements as hyperbole. Rehak Creative Servs. v. Witt, 404 S.W.3d 716, 732 (Tex. App. Houston 14th Dist. 2013). Incompetency: A website post calling employees at a company “incompetent” cannot be defamatory. Am. Heritage Capital, LP v. Gonzalez, 436 S.W.3d 865, 876 (Tex. App. Dallas 2014). Illegal & unethical events: A website and emails describing illegal and unethical events on a ranch without disclosing real identities constituted defamation. Cullum v. White, 399 S.W.3d 173, 182-83 (Tex. App. San Antonio 2011). All three core elements of defamation in Texas will be addressed in this comprehensive blog post. Online Defamation Removal Tip: Removing online defamation can sometimes be tough and litigation or lawsuit might not be the most affordable or effective method for removal. However, there are several free steps you can take to suppress negative search results about you or your business, including: (1) Creating a blog and frequently updating it, (2) Making your social media profiles public and linking between accounts, and (3) Sending a cease and desist letter to the offending party or website. If you’ve been the victim of online defamation or slander, reach out to the defamation removal attorneys of Minc Law today! At Minc Law, we specialize in online defamation removal, and have secured countless takedowns from scam reporting websites, cheater websites, consumer advocacy websites, and more. Aaron Minc and his team of Cleveland-based defamation removal lawyers know who to work with and how to work with them, having secured hundreds of takedowns. Reach out today to schedule a free, no-obligation initial consultation by calling us at (216) 373-7706, or schedule a meeting online! Now, let’s take a look at Texas’s pleading standard for defamation and what exactly pleadings are. First, let’s start with defining exactly what pleadings are. Pleadings are specific formal documents filed with the court that state a party’s basic claims and positions against a defendant(s). You’ve most likely heard of one of the following documents before – documents which are commonly used in pre-trial pleadings. Complaint: the document outlining the plaintiff’s claims, version of specific facts, and requested damages. Answer: the defendant’s response to the plaintiff’s original complaint – responding to the plaintiff’s allegations, and either rebutting them or raising certain defenses. Reply: a response by either party to new and additional claims raised by the other. Pleadings vary by area of law and by state, therefore it’s important to acquaint yourself with your state’s specific pleading requirements, or consult an experienced defamation attorney when bringing a defamation claim in the state of Texas – or any other state. For example, some states may require a stricter and shorter filing deadline for certain claims, while another state may have a more relaxed time frame. Additionally, one area of law could require a plaintiff to plead their case in a more direct and descriptive way – otherwise the defendant wouldn’t be able to properly ascertain the nature of the claim. When bringing a libel or slander claim in Texas, Texas’s pleading standard requires a short statement providing the other party notice of the claim involved. Tex. R. Civ. P. 47(a). Moreover, a libel complaint should put the court in possession of the allegedly libelous material – such as handing over the defamatory publication or online image. Evans v. McKay, 212 S.W. 680, 683 (Tex. Civ. App. Dallas 1919). Note that ambiguous and vague language may require plaintiff’s introduce extrinsic (supporting) evidence in order to explain the defamatory content. Newton v. Dallas Morning News, 376 S.W.2d 396, 400 (Tex. Civ. App. Dallas 1964). Now, let’s move on to statements that Texas law and the Common Law both deem so inherently defamatory, that a plaintiff need not prove actual damage or injury – also known as defamation per se. What is Defamation Per Se? What Type of Statements Does Texas Consider ‘Per Se’? Depending on the form in which the statement or communication is delivered, defamation per se may also be referred to as ‘libel per se’ or ‘slander per se’. Texas defines defamation per se as words that “are so obviously harmful to the person aggrieved, that no proof of their injurious effect is necessary to make them actionable.” Alaniz v. Hoyt, 105 S.W.3d 330, 345 (Tex. App. Corpus Christi 2003). Statements imputing the plaintiff has engaged in sexual misconduct. Downing v. Burns, 348 S.W.3d 415, 424 (Tex. App. Houston 14th Dist. 2011). As noted above in ‘Texas’s Definition of Defamation,’ private persons must prove the defendant acted with negligence when making or communicating the defamatory statement(s). Such standard also applies in defamation per se. Hancock v. Variyam, 400 S.W.3d 59, 66 (Tex. 2013). The plaintiff proves actual malice. Hancock v. Variyam, 400 S.W.3d 59, 66 (Tex. 2013). Opposite to the legal principle of defamation per se is ‘defamation per quod’. Defamation per quod does not presume damages due to the inherently defamatory nature of alleged statements, rather defamation per quod requires plaintiffs to prove the statement was actually defamatory via extrinsic and supporting evidence. The amount of damages. Downing v. Burns, 348 S.W.3d 415, 424 (Tex. App. Houston 14th Dist. 2011). Innuendo is the extrinsic evidence required in a defamation per quod action. Defamation through innuendo occurs when statements don’t directly defame a person or entity, but instead, imply defamatory conduct. Young v. Griffin, 1998 Tex. App. LEXIS 4560, *6 (Tex. App. Dallas 1998). By the general public. Simmons v. Ware, 920 S.W.2d 438, 451 (Tex. App. Amarillo 1996). Additionally, the Texas Supreme Court has defined what is known as defamation “by impression,” as defamation which occurs when facts “are published in such a way that the create substantially false and defamatory impression by omitting material facts or juxtaposing facts in a misleading way.” Turner v. KTRK TV, Inc., 38 S.W.3d 103, 115 (Tex. 2000). However, the Fifth Circuit held that an accurate reporting of facts – despite omissions – makes it irrelevant whether or not the plaintiff was painted in an unattractive way. Green v. CBS Inc., 286 F.3d 281, 285 (5th Cir. Tex. 2002). And, for public figures, such standard requires proof “that the defendant was aware that these choices could create a substantially false impression.” Abdel-Hafiz v. ABC, Inc., 240 S.W.3d 492, 522 (Tex. App. Fort Worth 2007). For example, a chart published in a newspaper that depicted the names and outcomes regarding criminal acts against children created a false impression by omitting cases and descriptions of the cases. Freedom Communs., Inc. v. Coronado, 296 S.W.3d 790, 798-99 (Tex. App. Corpus Christi 2009). Do Texas Courts Have Jurisdiction Over Out-of-State Defamation Defendants? Simply put, yes. But, in certain circumstances. Under Texas’s long-arm statute, Texas courts may exercise jurisdiction over parties that commit a tort within the state [of Texas]. Tex. Civ. Prac. & Rem. Code § 17.042(2). Knowledge that the brunt of the injury would be felt in the forum state [Texas]. If a court finds that a defendant’s actions meet the standard of purposeful direction, then it will be proper for them to exercise personal jurisdiction. The 5th Circuit applied the Calder effects test in an online message board case, and considered the location of the focal point, target audience, and main harm caused. Revell v. Lidov, 317 F.3d 467, 473 (5th Cir. Tex. 2002). In addition, the court considered whether the defendant knew of the plaintiff’s location at the time of publishing the alleged defamation. Id. 475. Texas courts reject the “sliding scale analysis,” also known as the Zippo Test, for individual internet users, but apply such test for website operators. Compare Wilkerson v. RSL Funding, L.L.C., 388 S.W.3d 668, 675 (Tex. App. Houston 1st Dist. 2011) with Karstetter v. Voss, 184 S.W.3d 396, 405 (Tex. App. Dallas 2006). The Zippo Test is the generally accepted test for deciding whether courts have personal jurisdiction in internet cases, and specifically, look to whether website operators “purposefully avail” themselves to the forum state’s jurisdiction – often determined through the website’s interactivity and commercial nature. Texas courts did not have personal jurisdiction in a case where an article was published on a message board in New York about a Texas resident, which did not concern the plaintiff’s activities in Texas. Revell, 317 F.3d at 473. Moreover, even though Texas residents read the post, they were not the target audience, and Texas was not the main source of the harm suffered. Id. A review of a Texas company posted on Yahoo! And Yelp did not establish personal jurisdiction in Texas. Wilkerson, 388 S.W.3d at 688. If you’d like to read up on defamatory Yelp reviews and how to remove them, check out our in-depth blog post here. So, what’s the lesson to be learned from all of this? Just because a malicious online defamer or troll lives out-of-state, it doesn’t mean they are immune from liability and defamation of character suits in Texas. Working with an experienced defamation removal attorney is highly recommended for understanding the Calder test, whether Texas courts may exercise jurisdiction over an out-of-state defendant, and your remedies. Online Libel Tip: The United States is generally considered a defendant-friendly defamation jurisdiction due to its staunch upholding of the First Amendment and free speech, while European countries and other Commonwealth countries (such as the U.K. and Canada) are typically considered to be more pro-plaintiff. Now that you have nailed down the definition of defamation and whether you may bring a suit against out-of-state defamation defendants, let’s take a look at the venue in which you can sue them. Where Can I Sue For Defamation? In Which Venue Can Texas Defamation Plaintiffs Sue Defamation Defendants? The domicile of any corporate defendant. Tex. Civ. Prac. & Rem. Code § 15.017. Typically, the cause of action will accrue when the plaintiff first learns of the defamation or publication. And, if you’re wondering what is classified as the domicile of a corporate defendant or business, look to their principal place of business or where it was incorporated. For reference, here’s an easy-to-follow and simple flowchart to help you understand where you may sue a defamation defendant in Texas. Is There a Statute of Limitations For Bringing a Defamation Claim in Texas? Statutes of limitations are time limitations established by law, prohibiting plaintiffs from bringing a claim after the expired period. Should a plaintiff fail to lodge their defamation claim within the legally prescribed timeframe, then they will likely be prevented from filing their claim – or be penalized. In Texas, plaintiffs have one year (1) to bring a defamation claim and the statute of limitations will not toll – begin – “until the injured party learns of, or, in the exercise of reasonable diligence, should have learned of the injury or wrong giving rise to the action.” Langston v. Eagle Pub. Co., 719 S.W.2d 612, 615 (Tex. App. Waco 1986). The ‘single publication rule’ is a widely adopted legal principle governing cause of action accrual dates – and ultimately, defamation statutes of limitations claims. Under the single publication rule, plaintiffs are limited to bringing only one claim for each mass publication by a publisher, not every subsequent publishing or copy. The single publication rule rose out of the litany of defamation actions filed anytime after a newspaper, magazine, or news media outlet printed multiple copies or prints of a defamatory statement. As mentioned above, the legal system needs to work like a well-oiled machine, and having unnecessary and multiple cases for the same statement gradually erodes at its efficacy. Texas courts DO apply the single publication rule. Holloway v. Butler, 662 S.W.2d 688, 691 (Tex. App. Houston 14th Dist. 1983). In 2007, the Fifth Circuit – applying the single publication rule to an internet defamation case – held that the statute of limitations period will begin tolling as soon as the alleged defamation is posted to the public. Nationwide Bi-Weekly Admin., Inc. v. Belo Corp., 512 F.3d 137, 145-46 (5th Cir. Tex. 2007); Mayfield v. Fullhart, 444 S.W.3d 222, 230 (Tex. App. Houston 14th Dist. 2014). Defamation Law Removal Tip: Setting up a ‘Google Alerts’ account is an effective way to monitor your online brand and reputation. Entering your name and associated keywords is crucial for identifying any defamatory online comments as soon as they are posted. After all, online defamation is like a wildfire, the longer you let it sit and spread, the more damage it’s going to do. If you’re wondering how Texas’s one year statute of limitations for defamation claims stacks up against other states, below is a simple chart showing several other state’s timeframes. For a comprehensive state-by-state guide for libel and slander statutes of limitations, check out this post here. If you’re a resident of Texas, or any other U.S. state, the defamation removal lawyers of Minc Law want to fight for your reputation. At Minc Law, we boast a nearly 100% online defamation removal rate, and all for a flat, reasonable fee. We’ve litigated in over 19 states and 3 countries, and have secured hundreds of online takedowns and removals. Defamation SuperLawyer Aaron Minc and his team of defamation removal attorneys know how to work with website administrators, third-party arbitration services, and content managers to secure a swift and permanent removal. Reach out for a free, initial no-obligation consultation today by calling us at (216) 373-7706, or by scheduling a meeting online. Defamation law treats claims by public and private persons in a different way. Depending on whether someone is classified as a private or public plaintiff by law, they will enjoy greater or lessened burdens of proof for bringing their defamation of character claim. It’s important to familiarize yourself with the various types of defamation plaintiffs, as it affects your legal rights. And, you might just be surprised to find out which category you fall under. First ruled on in 1964 landmark defamation case New York Times Co. v. Sullivan, the United States Supreme Court found it necessary to establish differing burdens for private and public plaintiffs when bringing a defamation claim. But, what was the reason? The court found the distinction was necessary in order to promote “uninhibited debate of public issues” and the First Amendment. Public plaintiffs: Think of celebrities, politicians, and other notable figures in the community and media. These are considered public persons and public plaintiffs. Public plaintiffs are persons who have availed themselves to a higher degree of scrutiny by the general public. In the best interest of furthering free speech and open discussion, the law grants a higher degree of protection to persons discussing hot-topic issues and criticizing certain figures. In order to succeed in a defamation of character claim, public persons are required to prove a defendant acted with actual malice when publishing or communicating a false statement. Private plaintiffs: Private persons are everyday, ordinary, citizens who have not opened themselves up into the limelight or thrust themselves into discussion of highly public issues. Private persons enjoy a higher degree of…well, privacy, and are required to prove ordinary negligence in order to succeed in their defamation claim. Ordinary negligence is typically defined as the ordinary care that would be exercised by a reasonably prudent person in similar situations and circumstances. Texas, like most U.S. states, expands upon the traditional idea of two types of defamation plaintiffs and follows the Supreme Court ruling set forth in Gertz v. Robert Welch, Inc., 418 U.S. 323, 345 (1972), opening up the number of defamation plaintiffs to four (4). Per the Gertz standard, public figure plaintiffs face different burdens of proof in order to establish a prima facie case for defamation of character. Below is a table comparing the four types of defamation plaintiffs found in Texas. Definition Plaintiffs not described by the other three classifications, whose burden of proof does not rise to the level of “malice.” The Texas Supreme Court has not utilized a specified rule in defining who is a public official, but instead, considers multiple facts: (1) Public interest in the plaintiff’s position; (2) Authority to exercise on behalf of the government; (3) Ability to authorize the expenditure of public funds; (4) Amount of public contact; (5) Supervision of other employees; & (6) Existence of a representative capacity for the government. Foster v. Laredo Newspapers, 541 S.W.2d 809, 813-14 (Tex. 1976). Defined by Texas law as “an individual who achieves such pervasive fame or notoriety that he becomes a public figure in all contexts and for all purposes. Allied Mktg. Group Inc. v. Paramount Pictures Corp., 2000 Tex. App. LEXIS 1762, *5 (Tex. App. Dallas 2000). An individual will become a limited-purpose public figure “by choosing to engage in activities that necessarily involve increased public exposure and media scrutiny.” WFAA-TV, Inc. v. McLemore, 978 S.W.2d 568, 573 (Tex. 1998). Texas adopts a three-part test to determine whether a person is a limited-purpose public figure: (1) the controversy at issue must be public both in the sense that people are discussing it and people other than the immediate participants in the controversy are likely to feel the impact of its resolution; (2) the plaintiff must have more than a trivial or tangential role in the controversy; & (3) the alleged defamation must be germane to the plaintiff’s participation in the controversy. Id. at 571. Burden of proof Ordinary negligence Actual malice - but only on matters relating to the plaintiff’s official conduct. HBO v. Harrison, 983 S.W.2d 31, 36 (Tex. App. Houston 14th Dist. 1998). Actual malice - in all defamation cases, general-purpose public figures must establish actual malice. Durham v. Cannan Communications, 645 S.W.2d 845, 848 (Tex. App. Amarillo 1982). Actual malice - however, Texas courts have not clearly narrowed the rule to proving actual malice only for those issues that gained the individual the role of a limited-purpose public figure. Id. at 573. Example A high school teacher is not considered a public official in Texas. Poe v. San Antonio Express-News Corp., 590 S.W.2d 537, 540 (Tex. Civ. App. San Antonio 1979). An athletic director/head football coach is considered a public official. Johnson v. Southwestern Newspapers Corp., 855 S.W.2d 182, 187 (Tex. App. Amarillo 1993). Politicians, celebrities, and other notable figures in the community who have availed themselves to the public light. A notorious group of hackers were classified as limited-purpose public figures in Texas. Goggans v. Boyd & Fraser Publishing Co., 1995 Tex. App. LEXIS 2385, *14-15 (Tex. App. Houston 1st Dist. 1995). The owner/operator of a website where victims posted about bullies and cheaters was also considered to be a limited-purpose public figure for vigilante justice. Rauhauser v. McGibney, 2014 Tex. App. LEXIS 13290, *22 (Tex. App. Fort Worth 2014). Defamation Law Fact: The record high libel verdict in the U.S. was rendered in 1997 for a staggering sum of over $220 million against Dow Jones. However, it was later dismissed. Now that we’ve nailed down the differences between public and private plaintiffs, let’s take a look at what the U.S. Supreme Court and Texas Courts have determined to be issues of private and public concern. Similar to the lesser protections of privacy ascribed to public figures, issues of public will enjoy greater protection from liability for those discussing them. Online Libel Tip: Sending a cease and desist to an offending party who has committed defamation is often an effective – and free – way to let them you know business. Typically, statements on issues of public concern are given greater protection from liability due to the governmental interest in promoting an educated and critical society. Without such protections, our media organizations as we know it, would cease to operate in the present capacity. Heightened censorship would lead to a less-informed public, and gnaw away at our overall democratic processes and rights. In 1971, the United States Supreme Court ruled on the matter, requiring private plaintiffs to prove media defendants acted with actual malice when reporting or publishing on “an event of public or general concern.” Rosenbloom v. Metromedia, Inc., 403 U.S. 29, 91 S.Ct. 1811, 29 L.Ed.2d 296 (1971). In cases brought by private individuals against media defendants, Texas courts have adopted a negligence standard for recovery of actual damages – and, in order to recover presumed or punitive damages, plaintiffs must prove actual malice when dealing with issues of public concern. Klentzman v. Brady, 456 S.W.3d 239 (Tex. App. Houston 1st Dist. 2014). Texas courts apply the U.S. Supreme Court’s definition of public concern, which found that “[s]peech deals with matters of public concern when it can be fairly considered as relating to any matter of political, social, or other concern to the community’ or when it ‘is a subject of legitimate news interest; that is, a subject of general interest and of value and concern to the public.’” Id. at 258 (citing Snyder v. Phelps, 131 S. Ct. 1207 (2011)). When it is a subject of legitimate news interest and of value and concern to the public. Online Libel Tip: Be sure to understand the difference in the two fundamental types of defamation; libel and slander. Most state laws require plaintiffs to bring libel claims before slander claims, so it’s important to familiarize yourself with whether the false statement was written/published or spoken. An article that recounted the arrest of the chief deputy’s son and the chief deputy’s abuse of power to suppress evidence was considered a matter of public concern. Klentzman, 456 S.W.3d at 263. The collapsing of a large rock wall was not deemed to be a matter of public concern by a Texas court. TSM AM-FM TV v. Meca Homes, 969 S.W.2d 448, 453 (Tex. App. El Paso 1998). Defamation Law Fact: American publishers and writers are protected from foreign libel suits and judgments which aren’t compliant with the Constitution’s First Amendment, a piece of legislation signed into law by former President Barack Obama. Even if someone makes or publishes a defamatory statement, they may rely on one of numerous defenses or privileges which will protect them from liability. Let’s first get started with possibly the most commonly used defense to a defamation claim – the defense of opinion, one which is recognized in nearly every U.S. state. Under Texas law, statements of opinion are protected under both the First Amendment of the U.S. Constitution and the Texas Constitution. Carr v. Brasher, 776 S.W.2d 567, 570 (Tex. 1989). Applying a broader protection for opinion speech in defamation claims than most states, Texas courts recognize that opinion statements are NOT actionable. Brewer v. Capital Cities/ABC, Inc., 986 S.W.2d 636, 643 (Tex. App. Fort Worth 1998). As defamatory statements deal with false assertions of fact, generally the issue of whether statements are opinion or fact is a matter of law, and at the crux of every defamation claim. Yiamouyiannis v. Thompson, 764 S.W.2d 338, 341 (Tex. App. San Antonio 1988). Patient neglect: A statement opining that a nursing home’s most likely excuse for patient neglect was due to profiteering by the owners constituted opinion. Brewer, 986 S.W.2d at 643. Poisonous sludge: A broadcast stating that a company was dumping “poisonous” sludge was considered an exaggeration, and thus fell within the defense of opinion. Peter Scalamandre & Sons v. Kaufman, 113 F.3d 556, 562 (5th Cir. Tex. 1997). Obscene gestures: A newspaper article stating a coach had made an obscene gesture was declared subjective and constituted opinion – unless verifiable facts can be presented to rebut it. Palestine Herald-Press Co. v. Zimmer, 257 S.W.3d 504, 511-12 (Tex. App. Tyler 2008). As mentioned above, defamation of character concerns false statements of fact, therefore it should be no surprise that truth or falsity of statement is an absolute and complete defense to the charge of defamation. Texas law codifies truth as a defense to defamation claims, and in actions brought forth by private individuals against non-media defendants, truth shall be asserted as an affirmative defense. Tex. Civ. Prac. & Rem. Code § 73.005. Randall’s Food Mkts. v. Johnson, 891 S.W.2d 640, 646 (Tex. 1995). When speaking on public issues, speakers need not prove the substantial truth of “opinions about their opponents’ views and qualifications.” Einhorn v. LaChance, 823 S.W.2d 405, 411 (Tex. App. Houston 1st Dist. 1992). Whether as a whole, the statements or publications were more damaging to the plaintiff’s reputation than truthful statements would have been. Neely v. Wilson, 418 S.W.3d 52, 63 (Tex. 2013). The substantial truth doctrine looks to the overall “gist” or “sting” of the statement, even if it errs in minor details. As long as the material matter of the statement is true, then a defendant(s) will be able to validly rely on the defense of truth. Turner v. KTRK TV, Inc., 38 S.W.3d 103, 115 (Tex. 2000). Additionally, so long as material facts are not omitted and true facts are not presented in a misleading way, a defendant will not be held liable for the defamatory inferences other people make. Id. Online product review: An online product review stating some defects inaccurately was declared substantially true where the product did have defects. David Rafes, Inc. v. Huml, 2009 Tex. App. LEXIS 8350, *15-20 (Tex. App. Houston 1st Dist. 2009). Insurance scam: A statement that the plaintiff had engaged in a $6.2 million insurance scam was considered substantially the same as a $1.7 million insurance fraud. Dolcefino v. Turner, 987 S.W.2d 100, 115 (Tex. App. Houston 14th Dist. 1998). Police beating: An article stating a person had died at the hands of a police “beating” was not considered substantially true because the officers actually struck in self-defense. Morris v. Dallas Morning News, 934 S.W.2d 410, 417 (Tex. App. Waco 1996). Illegal activities: Claiming that a plaintiff responsible for civil infractions had engaged in illegal activities was not declared substantially true. Cram Roofing Co. v. Parker, 131 S.W.3d 84, 91 (Tex. App. San Antonio 2003). Think of privilege as your legal right, entitlement, or enjoyment to communicate a statement – no matter the nature of its contents. Privilege exists to drive the very core of our decision making processes, promoting free debate and open discussion of hot-topics. The ability to communicate certain statements without fear of legal repercussion ultimately drives the development of our democratic society and furthers not only political initiatives, but financial, social, and economic ones as well. After all, if we lived in a society with restraints on certain types of speech in our decision making processes, policy would not be as robust or fair. Absolute privilege is the unequivocal and unqualified right to make a specific statement at a specific time – even if its contents are defamatory. Absolute privilege is overarching, and even applies in situations where a person made an allegedly defamatory statement with actual malice. Absolute privilege typically applies in official, judicial, and legislative proceedings, as those are some of the most important mediums for the drafting of social and legal policy. First, let’s start with judicial proceedings. In Texas, communications concerning matters published preliminary to or part of judicial proceedings are absolutely privileged – so long as the communications are relevant to the proceedings. Shell Oil Co. v. Writt, 2015 Tex. LEXIS 452, *11-12 (Tex. 2015). It’s worth noting that for absolute privilege to apply, an actual proceeding need not occur, and the communication will be absolutely privileged if the judicial proceeding was a serious consideration at the time the statements were made. Id. at *12. Such privilege even extends to pre-trial proceedings – including affidavits. Bird v. W.C.W., 868 S.W.2d 767, 771 (Tex. 1994). Absolute privilege will also apply to perjured testimony. Ross v. Arkwright Mut. Ins. Co., 892 S.W.2d 119, 132 (Tex. App. Houston 14th Dist. 1994). Finally, attempting to settle a claim and negotiations associated with it will fall within the scope of absolute privilege. Bennett v. Computer Assocs. Int’l, 932 S.W.2d 197, 201 (Tex. App. Amarillo 1996). So, what’s the core takeaway? Attempts to settle and negotiate claims. Doctor’s letter: A doctor’s letter to an attorney in contemplation of judicial proceedings was determined to fall within the purview of absolute privilege. James v. Brown, 637 S.W.2d 914, 917 (Tex. 1982). Lawyer’s letter: A lawyer’s letter to a deputy, regarding a legal dispute was communicated in connection with judicial proceedings, and thus, absolutely privileged. Thomas v. Bracey, 940 S.W.2d 340, 343-44 (Tex. App. San Antonio 1997). Communications that are part of legislative proceedings are absolutely privileged under Texas law. Clark v. Jenkins, 248 S.W.3d 418, 433 (Tex. App. Amarillo 2008). Absolute privilege will extend to communications made or published in the course of “proceedings before executive officers, and boards and commissions which exercise quasi-judicial powers.” Reagan v. Guardian Life Ins. Co., 140 Tex. 105, 111 (Tex. 1942). But, what exactly constitutes a quasi-judicial power? The power to enforce decisions or impose penalties. Parker v. Holbrook, 647 S.W.2d 692, 695 (Tex. App. Houston 1st Dist. 1982). State pharmacy board: A complaint filed with the State Pharmacy Board constituted a quasi-judicial proceedings and enjoyed absolute privilege. Bloom v. A. H. Robins Co., 479 S.W.2d 780, 782 (Tex. Civ. App. Waco 1972). Law firm: A law firm’s statements in a memo to the city council about a competing law firm seeking a contract were considered absolutely privileged. Perdue, Brackett, Flores, Utt & Burns v. Linebarger, Goggan, Blair, Sampson & Meeks, L.L.P., 291 S.W.3d 448, 455 (Tex. App. Fort Worth 2009). Texas has held that attorneys are “absolutely privileged to publish defamatory matter concerning another in communications preliminary to a proposed judicial proceeding, or in the institution of, or during the course and as a part of, a judicial proceeding in which he participates as counsel, if it has some relation to the proceeding.” Russell v. Clark, 620 S.W.2d 865, 869 (Tex. Civ. App. Dallas 1981). Adopting a favorable rule for attorneys, Texas courts resolve discrepancies in favor of relevancy. Id. at 870. Communications and statements made by high-ranking officials in the performance of official duties are absolutely privileged under Texas law. Salazar v. Morales, 900 S.W.2d 929, 932 (Tex. App. Austin 1995). If a plaintiff consents to the publication of a statement, or invites the publication, then the defendant is absolutely privileged in the publication of that statement. Smith v. Holley, 827 S.W.2d 433, 436 (Tex. App. San Antonio 1992). After all, don’t ask for or allow something you don’t want. Consented to and invited publications. Statements not protected under absolute privilege may still be protected under qualified privilege – also known as common interest privilege. Qualified privilege, like absolute privilege, is a right or entitlement to speak or communicate a certain statement, however the scope is much narrower. Qualified privilege typically extends to persons in positions of authority and trust who have a moral, legal, or social duty to make certain statements known to an audience, and that audience has a reciprocal interest in hearing such statements. Unlike absolute privilege, qualified privilege may be defeated by actual malice, and the speaker may be held liable for defamation. When the author, recipient, or third party has an interest in hearing it. Cain v. Hearst Corp., 878 S.W.2d 577, 582 (Tex. 1994). Additionally, qualified privilege may exist in cases where the statement or communication serves public interest. Id. The relief sought. Clark v. Jenkins, 248 S.W.3d 418, 432 (Tex. App. Amarillo 2008). Physicians: Statements to a hospital regarding a physician’s qualifications. Gillum v. Republic Health Corp., 778 S.W.2d 558, 573 (Tex. App. Dallas 1989). Supervisor to HR: Communications to the plaintiff’s supervisor and human resources department regarding a plaintiff’s insubordination were deemed protected under qualified privilege. Austin v. Inet Techs., Inc., 118 S.W.3d 491, 497 (Tex. App. Dallas 2003). Counterfeit bills: Passing around photographs to store of individuals allegedly using counterfeit bills did not fall within the scope of qualified privilege because the communications were made in the presence of customers who did not have an interest in the communication. Mitre, 840 S.W.2d at 619.
Letters to DA: A private citizen’s letters to a district attorney (D.A.) requesting an investigation into the city attorney’s involvement in election fraud were protected by qualified privilege. Rogers v. Cassidy, 946 S.W.2d 439, 446 (Tex. App. Corpus Christi 1997). Employee performance: Qualified privilege protects a supervisor’s performance evaluation of an employee, if it’s based on personal observation and opinion. Riojas v. Elsa State Bank, 1997 Tex. App. LEXIS 4199, *28-29 (Tex. App. Corpus Christi Aug. 7, 1997). Fair report privilege is a privilege granted to persons who rely on and publish reports issued by legislative, judicial, or other official bodies. It exists to promote trust in administrative and executive bodies and accept official reports and public documents as factual and accurate. After all, it would be against public policy to punish persons who – in good faith – rely on government issued information in good faith. [P]roceedings of a public meeting dealing with a public purpose, including statements and discussion at the meeting or other matters of public concern occurring at the meeting. Tex. Civ. Prac. & Rem. Code § 73.002(b)(1)(a-d). Additionally, fair report privilege extends to publications regarding official acts by public officials and matters of public concern. Tex. Civ. Prac. & Rem. Code § 73.002(b)(2). Fair report will also apply to substantially true accounts and communications. Neely v. Wilson, 418 S.W.3d 52, 70 (Tex. 2013). Communications will be deemed substantially true “if an ordinary reader would not attach any more opprobrium to the plaintiff’s conduct merely because of the exaggeration.” Langston v. Eagle Printing Co., 797 S.W.2d 66, 70 (Tex. App. Waco 1990). Note: Fair report privilege does not extend to republications with actual malice after the matter ceases of being of public concern. Tex. Civ. Prac. & Rem. Code § 73.002(a). Also known as “neutral reportage,” neutral report privilege is a common law privilege and defense to libel and defamation claims involving news media and other publishing organizations who specifically republish unverified accusations about public figures and persons. Neutral report is a limited exception to the rule that any person who repeats or publishes a defamatory statement is equally as guilty as the original publisher. Defendants relying on the neutral reportage privilege ultimately argue they aren’t supporting or agreeing with the veracity of the defamatory statement – but, are merely reporting on it in a neutral manner. In the public’s best interest. While the Texas Supreme Court has not officially recognized the neutral report privilege in any cases, lower Texas courts have recognized and applied a similar concept. Specifically, lower courts have held that investigating the underlying allegations from a source will suffice for purposes of the substantial truth doctrine. Dolcefino v. Turner, 987 S.W.2d 100, 109 (Tex. App. Houston 14th Dist. 1998). Definition An absolute or unequivocal right or entitlement to make or publish a statement - even if such statement is a defamatory one. A legal right or entitlement to communicate statements - even if defamatory - provided to persons in positions of authority and trust who typically have a legal, social, or moral duty to convey such message. A legal right granted to persons or outlets who publish reports by judicial, legislative, or other official bodies. A legal right granted to media organizations and persons who republish defamatory statements - as long as they do so in an unbiased manner, and the matter is one of public interest. Can it be defeated? No, even if the statement(s) in question is published with actual malice. Yes, if the statement is published with actual malice. Yes, if a statement or report is published with actual malice. Yet to be clarified in Texas. Examples Judicial proceedings, legislative proceedings, quasi-judicial proceedings, attorney communications prior to judicial proceedings, statements made by high-ranking officials, consented to and invited publications. Employee wrongdoing investigations, statements made by former employers to prospective employers, church investigatory proceedings, Public official wrongdoings, Commercial standing of an individual, and physician qualifications. Fair, true and impartial accounts of judicial proceedings, official proceedings administering the law, executive and legislative proceedings, proceedings before educational or eleemosynary boards, city or town governance proceedings, county commissioner court proceedings, public school board proceedings, and public meetings dealing with a public purpose. Republished statements by news media or persons which include unverified accusations against public figures and persons. Although a rarely used defense, the wire service defense has held true over time in the realm of libel and defamation law. The wire service defense provides immunity to news media and publishing organizations who publish communications and statements from a “reputable news service,” which was sent via a reputable wire service. The existence and application of the wire service defense is still unclear in Texas. However, one Texas court interpreted Tex. Civ. Prac. & Rem. Code § 73.004 to provide the grounds for a wire service defense. Merco Joint Venture v. Kaufman, 923 F. Supp. 924, 927 (W.D. Tex. 1996). The Communications Decency Act of 1996 (CDA) is a piece of landmark legislation providing near-blanket immunity for websites, internet service providers (ISPs), and other user-generated content platforms. Websites and ISPs cannot be held liable for defamatory content posted by users on their forums, boards, or website. Texas law provides complete immunity for both websites and ISPs. More specifically, Texas courts interpret the Communications Decency Act – 47 USC § 230 – to immunize websites and ISPs who publish third-party content. Note, under Section 230 of the CDA, websites and ISPs cannot be held liable for refusing to remove third-party content. GoDaddy.com, LLC v. Hollie Toups, 429 S.W.3d 752, 758 (Tex. App. Beaumont 2014). Think of the websites such as Facebook, Instagram, Twitter, and other user-generated content platforms as a phone company. Phone companies typically aren’t held liable for the criminal activities conducted via their phone lines, and only when there was direct intervention by the phone company can they be held liable. At Minc Law, we specifically deal with holding individual posters who utilize such content platforms to post defamatory and malicious attacks. To learn about how you can hold a malicious poster liable for defamation, reach out the defamation removal attorneys of Minc Law today at (216) 373-7706, or by scheduling a meeting online. Texas courts do recognize the libel-proof plaintiff doctrine, a legal doctrine which immunizes defendants who have defamed a person “whose reputation on the matter at issue is so diminished that, at the time of an otherwise libelous publication, it could not be damaged further.” Bui v. Fort Worth Star-Telegram, 2007 Tex. App. LEXIS 1333, *6 (Tex. App. Fort Worth 2007). Some plaintiffs have such a poor reputation in their community that even libelous and slanderous statements fail to impact their overall reputation. A plaintiff with drug and burglary convictions spanning 25 years proved libel-proof regarding allegations of running a burglary ring and dealing methamphetamine. Finklea v. Jacksonville Daily Progress, 742 S.W.2d 512, 517-18 (Tex. App. Tyler 1987). A plaintiff with a theft, burglary, and drug conviction was not deemed libel-proof after an article ran alleging that the plaintiff committed a burglary because their criminal history was not so extreme that no reasonable jury could not find damage to his reputation. McBride v. New Braunfels Herald-Zeitung, 894 S.W.2d 6, 10-11 (Tex. App. Austin 1994). A rarely-applied legal doctrine due to its limited scope, the incremental harm doctrine is a legal principle allowing defendants to escape liability for defamation, when the damage caused by their statement or communication ultimately fails to exceed the harm caused by the non-actionable accompanying statements in the same publication. Simply put, if there’s no significant damage or harm to the plaintiff, then a defendant cannot be held liable for defamation. Typically, if a defendant is able to prove such publication and statement(s) would have the exact same effect on the plaintiff’s reputation and person if the allegedly “defamatory portion” was removed, then the plaintiff will not succeed in their libel or slander action. Texas has yet to adopt the incremental harm doctrine. Miranda v. Byles, 390 S.W.3d 543, 557 (Tex. App. Houston 1st Dist. 2012). Defamation plaintiffs bringing libel or slander claims must prove they suffered damages as a result of the allegedly defamatory statement(s). Damages are typically quantified in a monetary sum, which is meant to act as compensation and reimburse the plaintiff for their injury or loss. Special damages are damages that are special and unique to the situation at hand. They are often associated with the legal principle of defamation per quod, as they require a plaintiff provide extrinsic and supporting evidence to prove there was a unique harm or injury. In Texas, special damages must be “specifically stated,” and defamation per quod claims are not actionable unless plaintiffs plead and prove special damages. Tex. R. Civ. P. 56. Kelly v. Diocese of Corpus Christi, 832 S.W.2d 88, 94 (Tex. App. Corpus Christi 1992). Presumed damages are as their name implies – presumed – and typically associated with the legal principle of defamation per se. Damages will be presumed in cases where the plaintiff need not prove actual injury. For example, defamation per recognizes some statements are so inherently defamatory and damaging that plaintiffs need not actually prove harm or injury. Texas courts will presume damages for statements that are defamatory per se. However, the speech in question must either be non-public, or the plaintiff must prove actual malice in order to recover presumed damages. Bentley v. Bunton, 94 S.W.3d 561, 604 (Tex. 2002). Hancock, 400 S.W.3d at 66. Also known as “compensatory damages,” actual damages are real and tangible damages suffered by a plaintiff. In Texas, plaintiffs must first prove damage to their reputation before recovering for mental anguish. Leyendecker & Associates, Inc. v. Wechter, 683 S.W.2d 369, 374 (Tex. 1984). Additionally, in defamation per se actions, mental anguish may be recovered without proving injury to one’s reputation. Outlet Co. v. International Sec. Group, 693 S.W.2d 621, 624 (Tex. App. San Antonio 1985). Punitive damages are commonly known as “exemplary damages” and sought after to punish defendants who have often acted maliciously when publishing defamatory statements. When recovering punitive damages in Texas, plaintiffs must prove by clear and convincing evidence that the defendant(s) published the defamatory statement with actual malice. Hancock v. Variyam, 400 S.W.3d 59, 66 (Tex. 2013). Texas plaintiffs may not recover punitive damages unless they are able to prove more than just nominal damages. Additionally, in order to recover punitive damages, plaintiffs must suffer substantial injury or loss. Tex. Civ. Prac. & Rem. Code § 41.004. Doubleday & Co. v. Rogers, 674 S.W.2d 751, 754 (Tex. 1984). To sum things up, below is a comparison chart recapping the core differences between each form of damages. Definition Unique or particular damages typically associated with defamation per quod actions. Damages which need not be proved by the plaintiff, and commonly associated with defamation per se claims. Real or tangible damage, injury, or loss to a plaintiff. Damages meant to punish defendants who acted maliciously when publishing certain statements. How to Prove Plaintiffs must “specifically” state the damage caused to them and their reputation. Because damages are presumed, plaintiffs need not prove damages. Plaintiffs must prove damage to their reputation. However, in defamation per se actions, plaintiffs need not prove injury to reputation in order to recover for mental anguish. Plaintiffs must prove by clear and convincing evidence that a defendant acted with actual malice. Plaintiffs must also prove they suffered substantial injury or loss, and damages other than nominal ones. Reputation & Brand Management Tip: Establishing a budget for online reputation and brand management is an important step in ensuring your brand survives internet defamation and other malicious attacks. Not only will setting up an online monitoring budget allow you to understand what your customers and the public think of your brand or product, it will also allow you to better catch trademark infringers. Q. Does Texas have legal protections for anonymous speech? A. Only one Texas appellate court has considered the standard for revealing anonymous internet user identities. Said court adopted the summary judgment analysis applied in John Doe No. 1 v. Cahill, 884 A.2d 451 (Del. 2005). In re Does 1-10, 242 S.W.3d 805, 822 (Tex. App. Texarkana 2007). Under the summary judgment analysis and standard, courts will only order the disclosure of an anonymous internet user’s identity if the plaintiff is able to produce evidence for each element of the offense. Id. In other words, a plaintiff must present enough evidence to survive a motion for summary judgment. Q. Overall, what effect has the Internet had on the right to free speech in Texas? A. In general, no Texas court has officially recognized any arguments that internet speech should be entitled to greater protections than other types of speech. A. Yes, but in specific circumstances. Under Texas’s long-arm statute, Texas courts may exercise their jurisdiction over an out-of-state defendant who have committed a tort within the state of Texas. Tex. Civ. Prac. & Rem. Code § 17.042(2). To read up further on bringing a defamation action against an out-of-state defendant, check out Section 2: Important Texas Defamation Formalities & Requirements. Q. Can I retract, correct, or clarify defamatory statements prior to litigation? A. Texas does not recognize retractions or corrections as defeating a defamation claim. However, an apology, correction, or retraction may mitigate damages. Tex. Civ. Prac. & Rem. Code § 73.003(a)(3). A plaintiff may only maintain a defamation claim if they first request a retraction, correction, or clarification, or if the defendant made a retraction, correction, or clarification. Tex. Civ. Prac. & Rem. Code § 73.055(a)(1-2). Such request of retraction, correction, or clarification must be made within the specific statute of limitations period – no later than the 90th day after learning of the publication. Tex. Civ. Prac. & Rem. Code § 73.055(b). If a plaintiff fails to request a retraction, correction, or clarification within ninety (90) days of receiving knowledge of the publication, the plaintiff may not recover exemplary damages. Tex. Civ. Prac. & Rem. Code § 73.055(c). A short and quick follow-up article will suffice as evidence that the publisher lacked actual malice. Freedom Newspapers v. Cantu, 168 S.W.3d 847, 858 (Tex. 2005). Q. Does Texas have criminal defamation laws in their books? A. Texas is not one of the 25 U.S. states or territories with general criminal libel or slander statutes in their books. However, they do have a special statute for libel of banks, which makes it a crime to make or assist another in making disparaging comments as to the financial condition of a bank. Tex. Fin. Code § 59.002(a)(1-2). Q. What are Anti-SLAPP laws? Does Texas have them? A. SLAPP lawsuits, also known as ‘strategic lawsuits against public participation’ are meritless and frivolous lawsuits filed against a person or entity with the ultimate goal of intimidating, censoring, burdening, or scaring them with legal costs. In Texas, defendants may file a special motion to dismiss, or an “anti-SLAPP’” motion, if the legal action is a response to the defendant’s exercise of her right to free speech, right to petition, or right to associate. Tex. Civ. Prac. & Rem. Code § 27.003(a). Such statute defines the right of free speech as speech made in connection with a matter of public concern. Tex. Civ. Prac. & Rem. Code § 27.001(3). This definition includes both public and private communications, and such anti-SLAPP motion must be filed no later than 60 days after service of process. Lippincott v. Whisenhunt, 462 S.W.3d 507, 509 (Tex. 2015). Tex. Civ. Prac. & Rem. Code § 27.003(b). In order for a Texas defendant to succeed on their motion to dismiss, he must show by a preponderance of the evidence (more likely than not) that the lawsuit is based on or relates to the defendant’s exercise of his right to free speech, right to petition, or right to associate. Tex. Civ. Prac. & Rem. Code § 27.00(b). If the plaintiff proves each element of the offense by clear and specific evidence, then the court may not dismiss the lawsuit. Tex. Civ. Prac. & Rem. Code § 27.005(c). However, if the plaintiff establishes each element of a valid defense by a preponderance of the evidence, the court shall dismiss the lawsuit. Tex. Civ. Prac. & Rem. Code § 27.005(d). If the defendant succeeds on their motion to dismiss, the court will award attorney’s fees, court costs, and other costs incurred in defending the lawsuit. Tex. Civ. Prac. & Rem. Code § 27.009(a)(1). Additionally, the court may award sanctions – penalties – against the plaintiff. Tex. Civ. Prac. & Rem. Code § 27.009(a)(2). However, if the court finds the anti-SLAPP motion to be frivolous or intended to delay, the court may award court costs and attorney’s fees to the plaintiff. Tex. Civ. Prac. & Rem. Code § 27.009(b). Q. What is Prior Restraint? Does Texas recognize the legal doctrine of Prior Restraint? A. Prior restraint is a restriction by government restricting speech prior to its publication. Texas does recognize prior restraint but will only exercise it when it is “essential to the avoidance of an impending danger” and also if it’s the “least restrictive means of preventing harm.” Kinney v. Barnes, 443 S.W.3d 87, 95 (Tex. 2014). “Defamation alone is not a sufficient justification for restraining an individual’s right to speak freely.” Hajek v. Bill Mowbray Motors, Inc., 647 S.W.2d 253, 255 (Tex. 1983). Additionally, Texas courts will not issue an order to refrain from future publication of defamatory statements, as it is unconstitutional prior restraint. Cummins v. Bat World Sanctuary, 2015 Tex. App. LEXIS 3472, *78 (Tex. App. Fort Worth 2015). Q. What are Veggie Libel Laws? Does Texas have any Veggie Libel laws in their books? A. Veggie libel laws, also known as food disparagement laws, are statutes establishing a cause of action for knowingly disseminating false information which implies a perishable food is not fit for consumption. Texas does have a veggie libel statute. Tex. Civ. Prac. & Rem. Code § 96.002(a). Q. What is the Collateral Bar Rule? Does Texas apply the Collateral Bar Rule? A. The collateral bar rule is a legal rule barring defendants from challenging an injunction for criminal contempt proceedings. Such rule bars defendants from raising a substantive challenge to a court order if they have previously disobeyed such order prior to bringing litigation. Texas’s state constitution provides greater protection than the First Amendment, and as a result, they reject the collateral bar rule. Ex parte Tucci, 859 S.W.2d 1 (Tex. 1993). Q. What is Defamation Insurance? And, Do I Need It? A. Think of defamation insurance as an extension of a general insurance policy, covering libel, slander, and other tort claims. Defamation insurance is usually covered under “excess liability,” a policy providing extra coverage beyond the scope of the original policy. Unless you are engaged in a high-risk profession, such as journalism, news media, or other independent contracting which heavily exposes you to public figures and hot-topics, you probably don’t need to purchase defamation insurance. If you’re a resident of Texas or the U.S., the defamation removal lawyers of Minc Law want to work with you and fight for your reputation. At Minc Law, we know how to swiftly and securely secure a permanent online defamation removal takedown, and all for a flat, reasonable fee. At Minc Law, we boast a nearly 100% online defamation removal rate, and have litigated in over 19 states and 3 countries, securing hundreds of removals. We will treat you with courtesy & respect: At Minc Law, we know that online defamation is highly invasive and can be extremely overwhelming, that’s why we are here to work with you. After all, your goals are our goals. Open communication: After we’ve begun the removal process, we’ll stay in frequent contact with you to update you on case and removal details. At Minc Law, we pride ourselves on open lines of communication and keeping you informed. We get results: We know who to work with and how to get in touch with them. Our defamation removal lawyers have worked closely with content managers, third-party arbitration firms, and website administrators to secure countless permanent takedowns. Businesses and websites respond to Minc Law. Reach out today to schedule a free, initial, no-obligation consultation by calling us at (216) 373-7706, or schedule a meeting online.